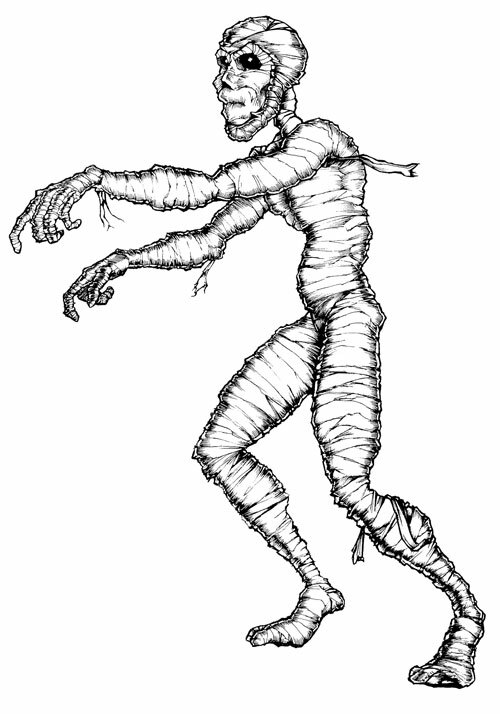 The line drawing for the mascot of my t-shirt line Cloth-Thing. 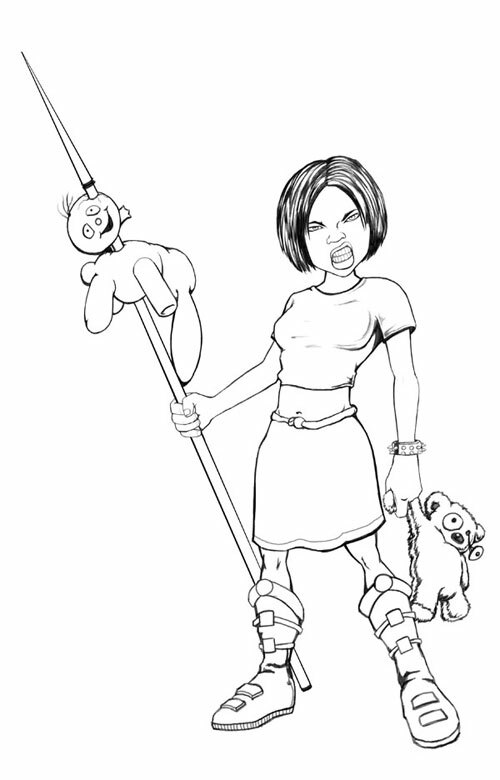 A line drawing of a girl for a comic I was going to do called “Sick of Cute” where she destroys annoying cute things. 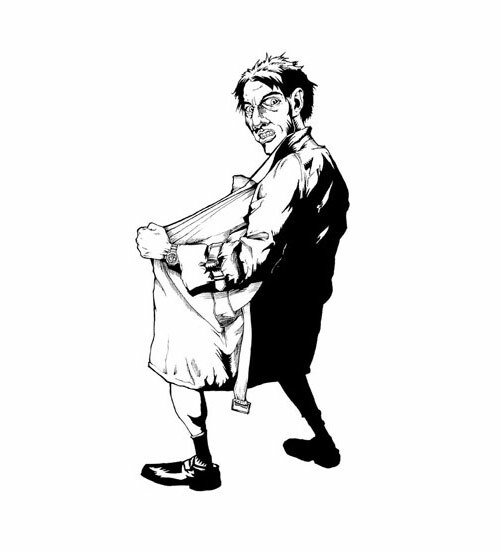 A flasher drawing I did for one of my old business cards. 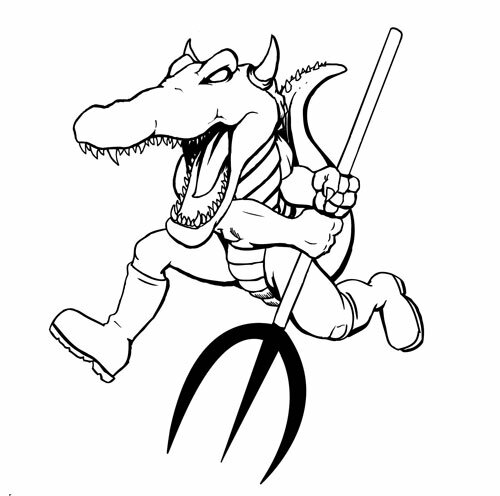 A gator drawing for a Cajun Hot Sauce company called Cajun Devil. Not sure if they ever did anything with it.